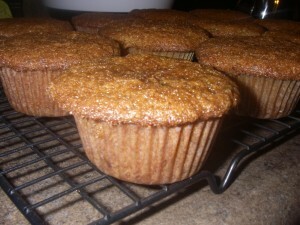 If you are looking for a great way to do something nice for your neighbors or friends, bake them some zucchini muffins. They won't be able to resist the delicious taste! The recipe will also help you use up any leftover zucchini from the garden so that it does not go to waste. Nobody likes wasting home grown food; so jot this down and make some delicious zucchini muffins today! 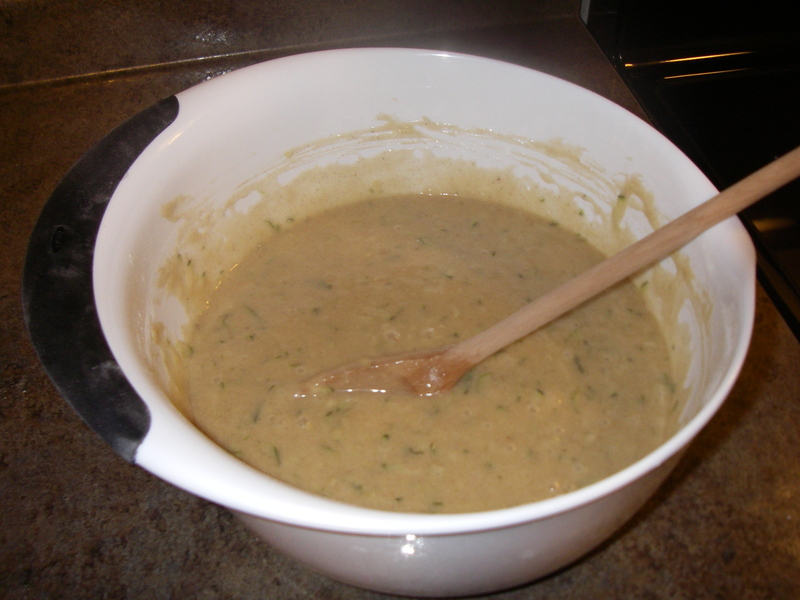 To begin preparations preheat your oven to 350 degrees and take out one medium and one large mixing bowl along with a large mixing spoon. Place all dry ingredients in a large mixing bowl; mix together thoroughly with large mixing spoon. 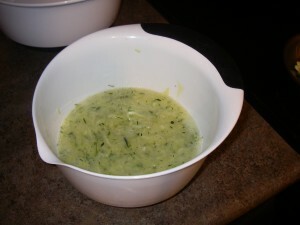 Next in a medium mixing bowl combine the zucchini, oil, water & eggs - mix together thoroughly. 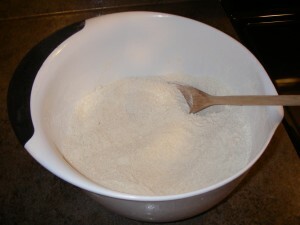 Then once you have your two bowls ready, add the wet ingredients from the medium bowl to the dry ingredients in the large bowl. Mix these together very well, making sure there are no clumps or bumps. Take out your muffin pan and place the papers in each spot. Make sure you use non-stick cooking spray if you do not have any muffin papers or choose not to use them. Next, pour the batter into each of the muffin papers. Make sure each one is filled up about ⅔ of the way. This is about ⅓ cup of batter in your average sized muffin pan. Then bake the muffins for approximately 25 minutes or until you can stick a toothpick in the middle and it comes out clean. Finally, take the muffins out of the oven and let sit in the pan for about five minutes. Then remove the muffins from the muffin tin and put them on the cooling rack. After about ten more minutes you'll have delicious zucchini muffins to share with your neighbors and friends. Whatever you choose to do with these yummy zucchini muffins is up to you, but trust me they won't last long! To save a few for later put them in a zip up plastic bag in the freezer. They will last for a couple months without a problem and it allows you to enjoy the muffins after you don't have anymore zucchinis to harvest. 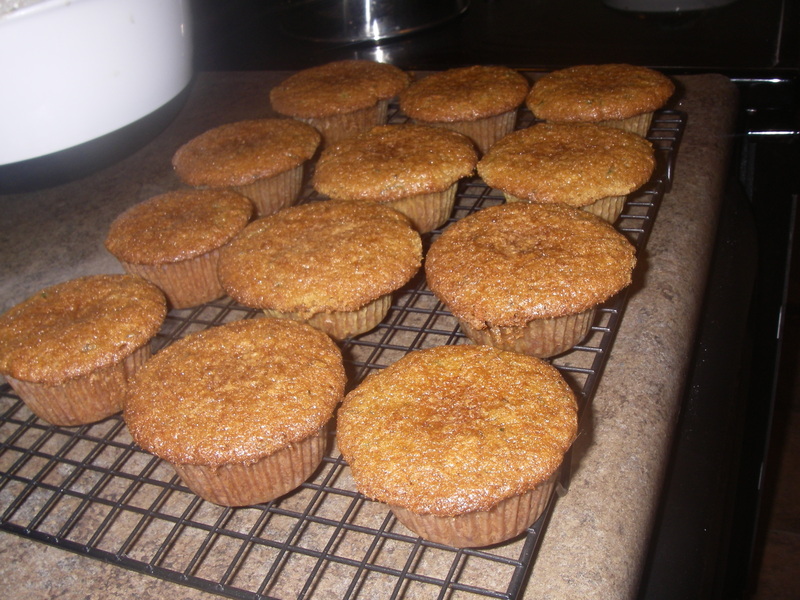 Enjoy baking and eating these delicious zucchini muffins! I can’t wait to try this recipe. Sounds delicious.